This past Sunday, Pulitzer Prize-winning journalist Jose Antonio Vargas "outed" himself as an "illegal alien" in the pages of The New York Times Magazine. The reaction of many in the media establishment has been to dwell on Vargas's practices of deception that allowed him to "pass" for so long. In doing so, these pundits obscure and normalize the apartheid-like system which denies unauthorized immigrants many basic rights, and their complicity in its perpetuation. In a cover story this past Sunday in The New York Times Magazine, Pulitzer Prize-winning journalist Jose Antonio Vargas announced that he was “done running,” that he had “decided to come forward, [and] own up” to what he had done. He was, he explained, sick of living in fear, of “lying,” “of running away” from who he is. 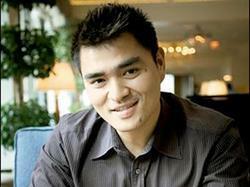 And who Jose Antonio Vargas is, from the perspective of U.S. immigration authorities, is an illegal alien. If the reaction of the mainstream press thus far is any indication, however, it will require effort of epic proportions to bring about that “bigger and more effective” conversation. Howard Kurtz on CNN, for example, felt obliged to softly scold Vargas, telling him “you have to acknowledge and you do acknowledge that you broke the law.” Meanwhile, Phil Bronstein, Vargas’s former boss at the San Francisco Chronicle, expressed indignation that Vargas had “duped” him. “Jose lied to me and everyone else he worked for, and that's not kosher,” wrote the paper’s Editor at Large. Yes, Vargas had to engage in deceptive practices to ensure his wellbeing: It was with a doctored Social Security card, for example, that he was able to secure work for publications such as The Washington Post, and the online Huffington Post. No doubt, many of those deemed as non-white in the various expressions of Jim Crow that long existed in the United States also practiced deception to “pass” or to circumvent the institutionalized racist barriers of exclusion that were once the law of the land. That this deception becomes the issue rather than the apartheid-like system that denies “illegal” immigrants many basic rights—no matter if they arrived as children (as Vargas did) or how long they have been present in the United States—speaks to how profoundly “duped” by the national regime of exclusion so many have become. Just as whiteness became normalized in a system of white supremacy—and invisible to its beneficiaries as an odious category—the unjust underpinnings of the categories of “citizen” and the “legal” have become imperceptible to all-too-many in the privileged classes of the “Juan Crow” system that reigns in the United States. This explains why Bronstein can complain that, in 2003, Vargas “wrote a story for us about illegals getting fake drivers' licenses . . . when he'd used phony documents to get his own” and display no appreciation that Vargas’s position in such a context is no more compromising than his own. Like Vargas, Bronstein, too, is implicated in the story in a way that makes it impossible for him to look at it dispassionately. But in Bronstein’s case, it is as a member of the oppressor class. Blinded by his associated position of privilege, Bronstein thus casually refers to Vargas as a “lawbreaker” in his Chronicle blog post. No doubt there are many “lawbreakers” at the Chronicle—people who have sped or texted while driving, individuals who have consumed illicit drugs or cheated on their income taxes—but it is highly doubtful that Bronstein would refer to them in this manner in print. This speaks to how “illegals” have become one of the most stigmatized groups in the contemporary United States, and to the associated multi-tiered system of justice that prevails in the country—one in which non-citizens (especially the unauthorized) are subject to especially harsh penalties. As sociologist Tanya Golash-Boza has argued in relation to the disproportionate criminalization of non-citizens, “Most people in the United States have broken the law, yet only a few are punished.” And it is a relatively small number of those who transgress the law who are defined as “illegal” and who are thus compelled to live a life of duplicity to survive. Like Kurtz, Bronstein emphasizes that Vargas has done wrong. Vargas has responded to such pressures by apologizing on numerous occasions. “I'm sorry for breaking our county's laws,” he stated, for example, in responding to Kurtz’s finger-wagging. But the effect of such pressures for contrition and apologies is to make the law sacrosanct, when it is the law itself that should be the target of critical scrutiny. Vargas need not and should not apologize any more than those dehumanized by Jim Crow should have expressed remorse for breaking the laws underpinning legally enshrined apartheid so as to survive. It is those of us who uphold, benefit from, or have not done enough to overthrow that system who should apologize. Jose Antonio Vargas: I am sorry.